IS there something ironic about prisoners eating cage-free eggs? Perhaps the inmates will see the sunny side to their caterer Sodexo Australia moving to annually use nine million of the googies. The company this week started serving cage-free eggs, moving from caged eggs, in meals at two prisons that are just part of a national client portfolio including remote mining sites, retirement villages, aged care facilities, and other large businesses. 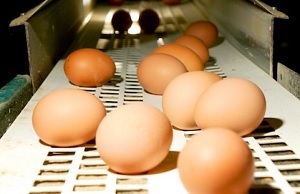 Boss Mark Chalmers said the company will source nine million cage-free eggs annually from Farm Pride Foods Limited Ltd and is also looking to source cage-free eggs for its liquid egg supply. “For us it’s a move to a more responsible way of providing product and bringing it to market … part of our corporate responsibility program,” Mr Chalmers told Australian Food News this week. He said the company, inspired by animal welfare and environment concerns, believes cage-free eggs are a more ethically sound product, and it’s not a commercial response to the food trend away from caged eggs. “Primarily we believe it’s just us operating in a more ethical fashion in the world in which we live,” Mr Chalmers said. Mr Chalmers said the company’s ethical focus was particularly also on diversity and inclusion and indigenous community development. 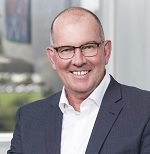 Farm Pride Foods chief operations officer Bruce De Lacy said to assure the welfare of hens, all of the company farms are third-party audited to the industry’s Egg Standards Australia accreditation. “Our cage-free fresh eggs are produced in climate-controlled sheds where the hens have access to food, water nest boxes, perches, and are free to move within the shed as they please,” he said. “This allows the hens more space, and they are protected from environmental threats and diseases,” said Mr De Lacy. Sungold milk is embracing its tradesmen customers with a new bottle design for its flavoured milks.